that are accurate & ready to use! Worship The Rock, Vol. 2 - Now Available! 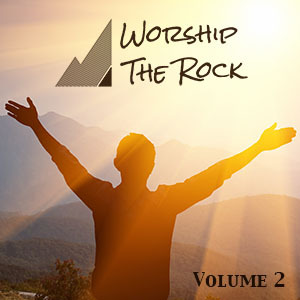 Part of our annual songwriting competition for Worship The Rock is that the top 12 winning songs get put on a compilation album. This is the top 6 from the Praise & Worship category as well as the top 6 from the Contemporary Christian category. We had some delays in getting this wrapped up for the 2018 contest, but it is finally here and ready for you to check it out! This year's compilation contains a wide variety of styles from praise & worship to country and rap! To see the full competition results with more info, CLICK HERE. You can listen to the whole album on Spotify, and also download/stream on popular resources like Apple Music, iTunes, YouTube, Amazon, Google Play and more! Support your fellow worship leaders and WTR by streaming and purchasing the album, and be sure to spread the word via social media and however else you can! Be watching soon for the launch of the 2019 WTR Songwriting Contest so you can get involved! Maybe your song can be on WTR Vol. 3! Nathan has been a worship leader for 20 years, serving in multiple churches from a new church plant to a large urban congregation... serving mostly in the state of Indiana. He grew up as a PK in Indiana and was actively involved in worship music from the age of 12. Over the years Nathan was involved as a saxophonist in his church band and also played in many other groups and events. While in college at the Indiana University School of Music, Nathan began moving into worship leading. Then after graduating, he went right into full-time ministry as a music pastor. He began writing new worship songs that have continued to be a part of his ministry as well as many churches across the country. Nathan has recorded 9 projects, which are mostly live worship projects. He is currently one of the worship leaders at Foothills Assembly of God in Fort Collins, CO.